1112. 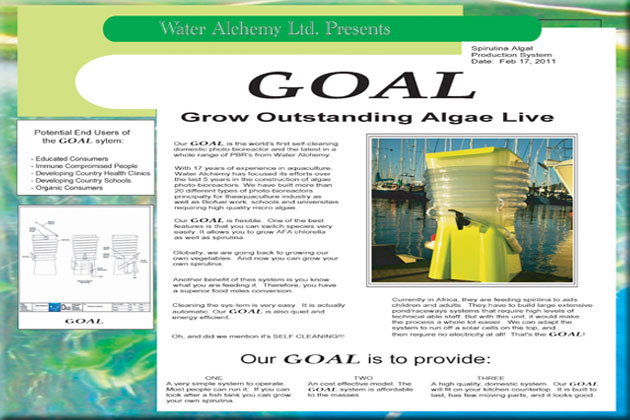 Bill Rucks, Water Alchemy Ltd.
Goal: Grow Outstanding Algae Live Photo-Bioreactor. Self-cleaning domestic photo-bioreactor, simple to operate, cost effective, and will fit on a kitchen countertop. Built to last with few moving parts. High quality, quiet and energy efficient. Can switch species and grow AFA, chlorella and spirulina. For more information about this entry, contact the author. 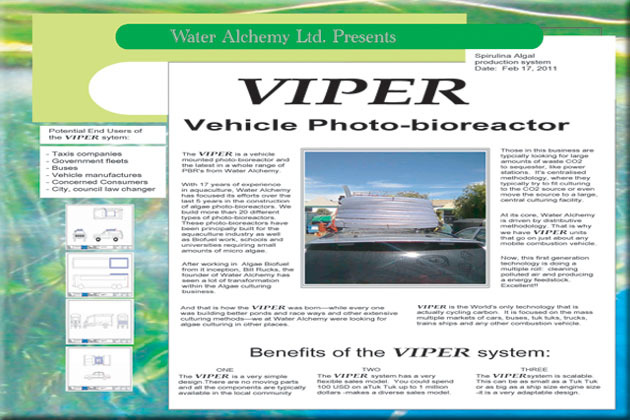 email: water.alchemy.ltd@clear.net.nz.